Trigger sprays are an essential tool for any professional cleaner as they allow the user to disinfect surfaces with ease. 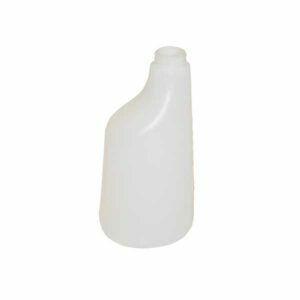 Excellent quality opaque spray bottle which can be used to contain chemicals to disinfect surfaces prior to wiping or can be used with flat mopping systems. The bottle features a graduated unit scale from 100cc to 600cc in increments of 50cc to allow accurate dilution. High quality trigger spray used to disinfect surfaces prior to wiping or can be used with flat mopping systems. 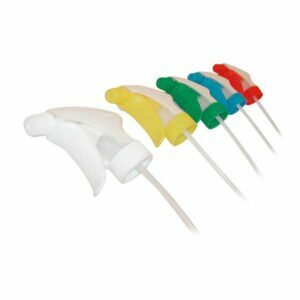 Available in 5 colours allowing the implementation of colour coded systems to prevent cross contamination. 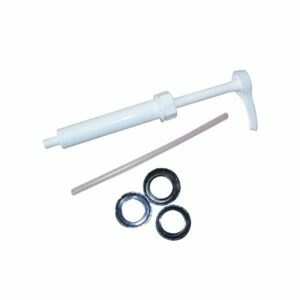 Dispensing pump complete with 38, 40 & 43mm fittings. Nominal output of 30ml per single action.